Congratulations to Dr. Brian Thrall, Pacific Northwest National Laboratory, on being selected as an associate editor of Nanobiomedicine, an international, peer-reviewed, open-access scientific journal that premiers in July. Nanobiomedicine will publish significant contributions in the cross-disciplinary area intersecting nanotechnology with biomedicine, with particular interest in the applicability of these discoveries and advances. Thrall was selected based on his scientific background, record of scientific accomplishment, and expert knowledge in the field. 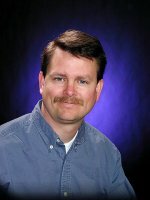 He manages the Systems Toxicology and Exposure Science Group at PNNL. He also is Director of PNNL's Center for Nanotoxicology, a multidisciplinary research program focused on understanding interactions between engineered nanomaterials and biological systems funded by the National Institutes of Environmental Health Sciences.